Second auditions will take place on Thursday January 31st at Metro State University. Please remember this is a school day for MSU Denver, and parking may be limited. Please be patient and plan extra time to find a parking spot. The parking code for All State auditions at MSU Denver on January 31st is 1079144. 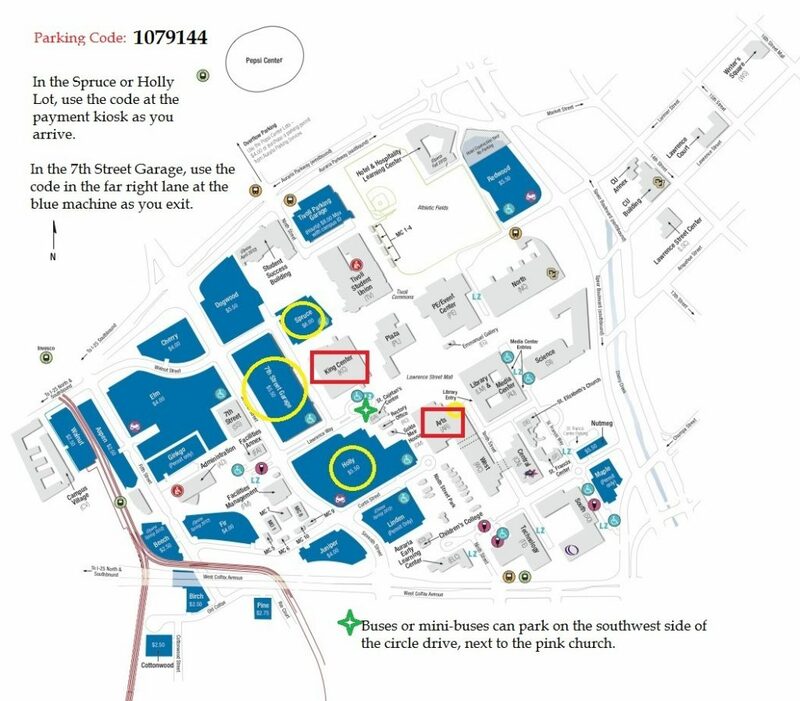 Please see the attached map for instructions on how to use the code and in which lots to park.